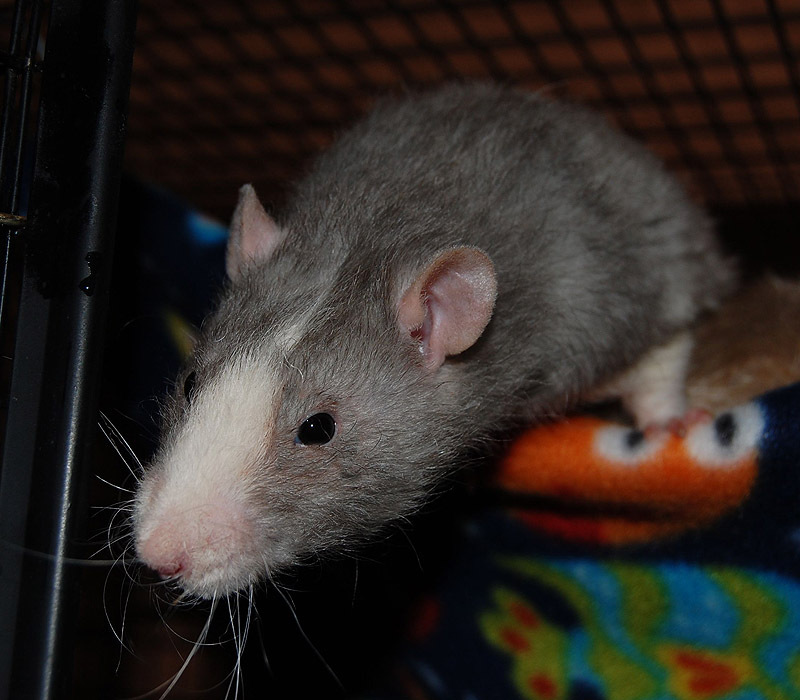 Squirrel is undoubtedly one of the nicest rats in our rattery. 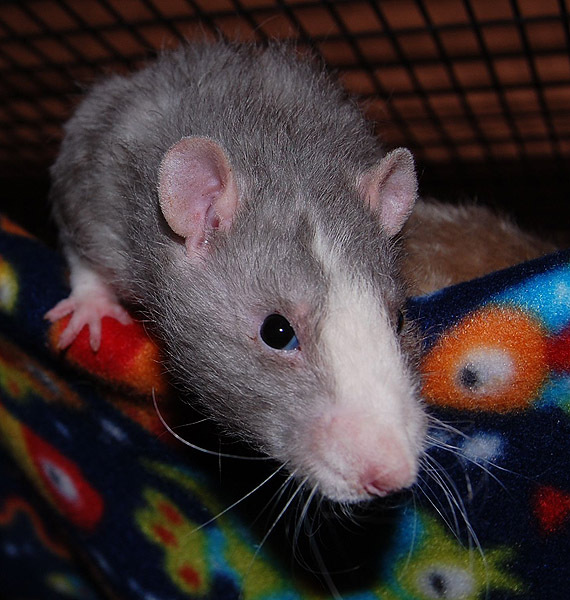 He is super sweet to his cagemates, you can pretty much introduce him immediately to other rats with no fighting or fussing on his part and he puts up with and even seems to enjoy constant mauling by humans who cannot resist him because he's so darn cute. 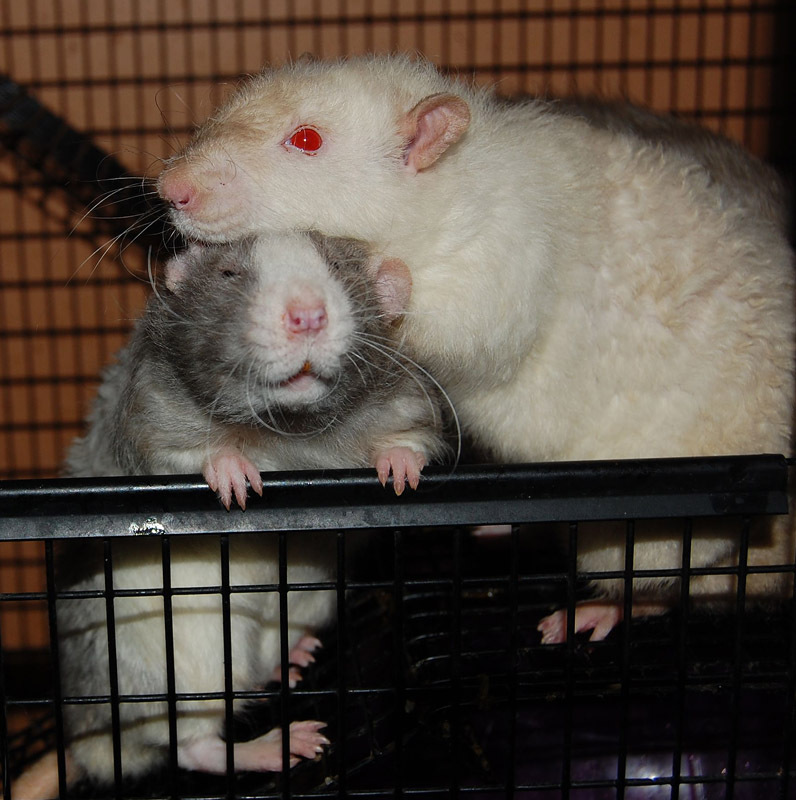 His sister Charisma is the same kind of rat, which this line of dalmatian based rats is known for - sweet, friendly and just always happy.